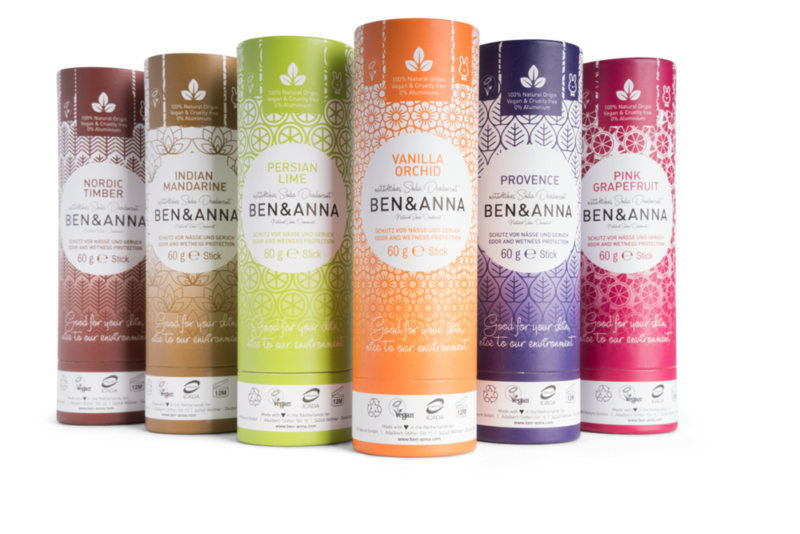 Ben & Anna certified organic deodorant sticks have a solid & smooth consistency due to the presence of shea butter and soda. Easy to apply and delicately scented, they offer reliable protection against odour and moisture whilst caring for the skin. The presence of arrowroot powder absorbs excess moisture while bicarbonate of soda provides natural deodorising. Made solely from selected natural ingredients, they are never greasy or sticky and contain no aluminium compounds, PEGs, parabens or phthalates. Ben & Anna have ditched plastic packaging in favour of a 100% recycled paper tube which is recyclable. Gorgeous packaging designs and 7 subtle fragrances including unscented, this is vegan, cruelty free and natural deodorant that actually works.